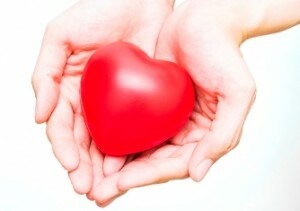 As you grow older, changes happen in your heart that can increase your risk of heart disease. For active adults looking to enjoy their retirement, complications of heart disease can be especially hard to cope with. The good news is there are things you can do to reduce your risk. Try to be more physically active. If possible, aim for at least 30 minutes of moderate activity on most days of the week. Start by doing activities you enjoy. 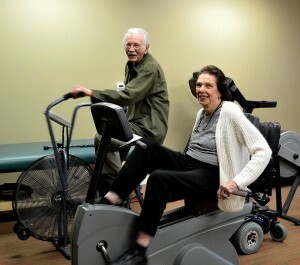 Grace Ridge residents have fun, simple ways to keep active, including hikes in Pisgah National Forest, innovative fitness programs like Conductorcise and yoga sessions. And thanks to a brand new fitness room, daily exercise is easier than ever! Follow a heart-healthy diet. Choose low-fat foods and limit your sodium intake. Eat plenty of fruits, vegetable, and foods high in fiber, like those made from whole grains. In addition to providing nutritious dining options, Grace Ridge also has a registered dietician onsite. Meal plans can be tailored for individual needs and to help residents keep their goals. Keep a healthy weight. A BMI of 25+ means a greater risk for heart disease and other health conditions. Maintaining a healthy weight can reduce your risk. Our residents enjoy onsite fitness as well as complimentary membership to Phifer Wellness Center. Additionally, there’s a built-in support system at CCRCs like Grace Ridge. Manage Stress. For older adults, managing stress can greatly reduce your risk of heart disease. Stress has a negative impact on your overall wellbeing – mind, body and mood. There are a variety of ways seniors can help manage stress, from programs like Mindfulness to relaxation therapy. Hobbies like gardening can also be therapeutic, as can simply spending time with friends or partaking in interest groups, from book club to chorus. Monitor Your Health. Blood pressure increases as you age, so it’s important to have it checked regularly, even if you are healthy. Early heart disease often has little or no symptoms, so regular checkups are key to maintaining your health. Grace Ridge offers blood pressure checks each month and annual health screenings to help residents conveniently monitor their heart health. To commemorate American Heart Month, Grace Ridge Retirement Community will host Healthy Hearts, the first event of our new Good Moods Wellness Speaker Series. Join us Tuesday, Feb. 3, 2015 at 5 p.m. as Dr. Mark Hazen, a renowned cardiologist from CHS Sanger Heart & Vascular Institute, offers insight and tips on keeping your heart healthy as you age. To register to attend, click here or call 855-200-2673. SNEAK PEEK: In April, join us for Healthy Minds, our second event in the wellness series. Don’t miss this special presentation on stress and relaxation. Call 855-200-2673 or click here to register in advance. More details to come! To find out more about active retirement in western North Carolina, call Jeff at 828-580-8300. And follow Grace Ridge on Facebook and subscribe to our e-newsletter for more Good News and Good Moods!